2017s MUST GO! CALL FOR BEST PRICE! 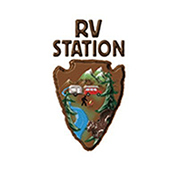 RV Station is your one stop destination for new and pre-owned recreational vehicles. We have 5 locations with our 6th opening very soon. We are located outside metropolitan areas so that we can save our customers money...lower overhead means lower prices!